Mr. Pitta is also the founding and managing partner of our affiliated law firm Pitta LLP. He has concentrated his practice for more than thirty years in the representation of both private and public sector clients in the hotel, restaurant, sports, entertainment, health care, securities, trucking, construction, real estate, facilities management, cleaning and maintenance, moving and storage, airline parts manufacturing, sanitation, law enforcement, fire safety, education and higher education industries and professions. 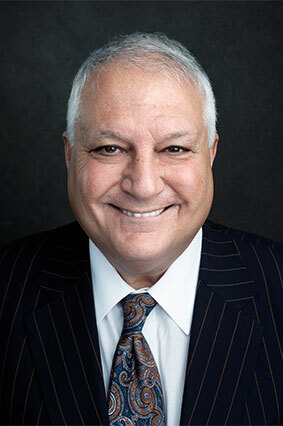 Mr. Pitta is a member of the Bar of the State of New York; he is admitted to practice before the U.S. District Court for the Southern and Eastern Districts of New York, the U.S. Court of Appeals for the 2nd Circuit, and the U.S. Supreme Court. Mr. Pitta is an active supporter of numerous charitable, civic and professional organizations. He currently serves on the Boards of Trustees of Samaritan Daytop Village Foundation, Inc., the Catholic Legal Immigration Network, Inc., and the Peggy Browning Fund. Find out how we can help today!